Organised by BroadcastPro ME in conjunction with Rohde & Schwarz, the roundtable was titled: IP-based broadcast contribution – revolution or evolution? IP has been around for a while now and it is often believed that forward-thinking players in the industry have forged ahead with this transition. But is it really that simple or is the migration to IP ridden with challenges that are way beyond the control of the immediate players? Dr. Marco Lohse, Director of R&D, IP Gateway at Rohde & Schwarz, set the stage for the discussion by questioning the levels of readiness for IP migration among the participants within their respective segments, namely the telcos, satellite and broadcast markets. 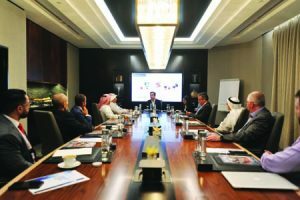 With more than 17 years of experience in the IT industry, working in research and development and having done pioneering work in the field of transmission via unmanaged IP networks, Dr Lohse seemed the right person to pose that question across to a gathering of MENA professionals from amongst telcos, satellite operators, systems integrators and broadcasters at a roundtable in Dubai last month. Organised by BroadcastPro ME in conjunction with Rohde & Schwarz, the roundtable was titled: IP-based broadcast contribution – revolution or evolution? Joining us for this discussion were a mix of experts from the MENA telco, broadcast and satellite sectors including Ahmed Al Muhaideb, VP- Broadcasting and IPTV Services, du; Mohammed Bushehab, Manager/Satellite TV Broadcast Operations, Etisalat; Peter Van Dam, Technical Advisor to the CEO’s office, Live HD; Nader Mokhtar, Director of MCR/DVB and STB technology; Bilal Mohieddine Saab, Broadcast Manager, Yahlive; Yusuf Al Buti, Head of Engineering and Technology, twofour54; Yaser Hassan, Director of Transmission Operations, Arabsat; Eyad Aldwaik, Director of Engineering, Intigral and Ibrahim Sleiman, Division Manager at Tek Signals, a local system integration company. 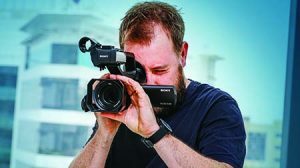 “Telcos are already very advanced in terms of IP adoption, which is a good thing because they have to take the lead,” stated Peter Van Dam, Technical Advisor to the CEO’s office at LIVE HD Broadcast Facilities, a subsidiary of Abu Dhabi Media Company. Broadcasters are largely in the transition phase deploying hybrid solutions. 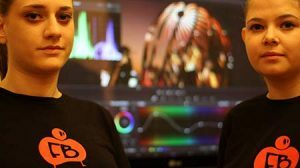 At IBC for the first time in 2017, I saw IP as a usable tool across the entire chain offering greater flexibility and ease of use within a production environment. Given that situation, I believe in the next two years, we will see more people make the transition to IP. By that time, I hope we can also finalise standards with regard to compression and other critical issues,” he commented, adding that the speed of transition to IP will depend largely on the ease with which the migration to IP can be undertaken, the flexibility it offers and the cost involved. 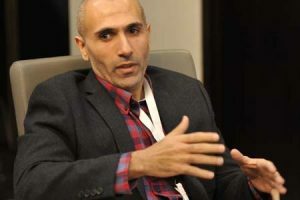 Eyad Aldwaik from Intigral was sceptical about the two-year time-frame stating that broadcasters typically tend to use their technologies until they stop working to get the best out of their investment. 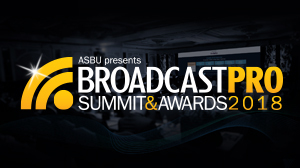 “Among traditional broadcasters, I have seen hardware going for 15 years or more. Why change it if it is working? My guess is it will be a long time before we get to 80-90% IP within broadcast. With regards to contribution, however, we are already there. Today, newsgathering over IP is a common phenomenon. You don’t need to make a big investment for contribution so it’s already happening,” he pointed out. If there was any scepticism about the reception IP would receive from satellite operators, it was instantly dismissed. The satellite players in the room welcomed the technology stating that it brought several benefits to their business although they agreed satellite was still the primary medium of distribution in most countries. Bilal Mohieddine Saab, Broadcast Manager at Yahlive pointed out that “satellite will continue to be the medium of choice in underdeveloped countries where broadband remains a luxury”. 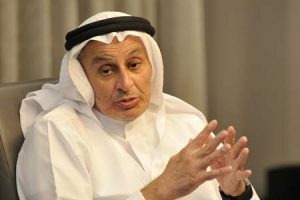 Yaser Hassan of Arabsat highlighted that IP actually complements the offerings that satellite operators provide their customers while also lauding the merits of the latter. “In traditional payload, which is the communication system on the satellite, we would receive the signal to the satellite payload, process it, amplify it, multiplex it and send it. So payload configuration on the satellite was limiting the flexibility with regards to high-throughput satellites. But now with the digital payload and IP concept, satellite manufacturers provide more flexible payloads enabling a dynamic frequency plan and better processing on the satellite, where satellite operators can provide a huge capacity with frequency reuse. From digital payloads to the flexibility of frequency plan and beam coverages done via software, satellite operators are clearly playing their part by coming on board the IP bandwagon. The discussion then turned to who is driving the change to IP with more viewers moving from linear TV to OTT platforms. Yusuf Buti from twofour54 added that different factors drive the market. 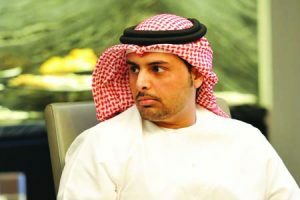 This statement prompted Hassan of Arabsat, to highlight innovations in the satellite sector. 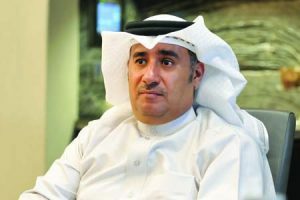 While experts have ceased writing obituaries for satellite operations over the MENA region given the limited coverage provided by fibre, Nader Mohktar, Director of MCR/ DVB of MBC Group explained that the broadcaster continues to use satellite successfully but has moved some of its operations to IP for more flexible, diverse and cost-effective delivery. He was, however, quick to add that satellite continues to play a crucial role in the broadcaster’s distribution model. Although everyone in the room agreed that cost efficiency was a big driver for IP migration, they also agreed that the pricing offered by telcos in the region for bandwidth was several times higher than other markets and required significant correction. Everyone agreed that satellite continues to remain the main medium of distribution and IPTV /OTT remains a complementary technology although they also admitted that it would soon become mainstream. The participants in the room agreed that the transition to IP workflows brought with it the advantages of affordable processing and agility in allocating technology resources. Benefits also included the lower cost of IP when compared to SDI routing, and greater flexibility with regards to workflows. However, the drivers of change were still unclear. “Are we quality driven or are we vendor driven?” asked Van Dam of Abu Dhabi Media. Responding to one of the roundtable questions as to whether industry stakeholders are looking towards a future with IP, Ahmed Al Muhaideb, VP Broadcasting & IPTV Services at du stressed quality, when he said: “As a telecom operator, I not only serve my consumer segment but also the broadcasting enterprises like the OSNs, Dubai TVs and MBCs of the world. These broadcasters are quality driven. They cannot tolerate a frame loss. I go back to Dr. Marcos’ initial question about going IP end-to-end, from the contribution to the last mile delivered to the satellite in my living room. Van Dam added that it is paramount that decision makers buy into the concept. 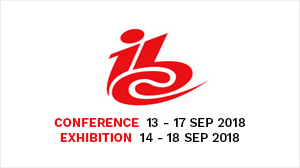 Dr Lohse concurred and said broadcasters will be willing to make the transition once they are convinced that IP “can provide the same level of quality as existing technologies”. 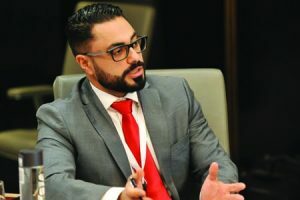 Ibrahim Sleiman, Division Manager of Tek Signals elaborated on the inherent scalability of Ethernet providing a futureproof solution for the industry. The discussion then turned to standards and which would be the most appropriate to follow. One of the greatest push factors for choosing IP-based routing has been to accommodate 4K production. Today, it takes four HD-SDI cables to carry a single 4K signal. In contrast, a 10GbE cable can take that same signal with a light compression. 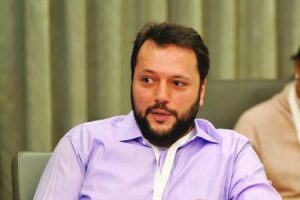 “The driving force is throughput, which means people’s requirements will force a standard,” asserted Sleiman of Tek Signals. 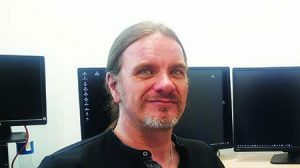 Intigral’s Aldwaik and LIVE’s Van Dam pointed out that the question about standards becomes irrelevant within a software-defined environment. “We should just buy licences, comply, plug in and move on. The medium is critical, not the standard. Is the medium reliable enough to carry my signal?” Aldwaik asked. “Organisations such as Dubai Media City or twofour54 host many different customers that have their own standards. 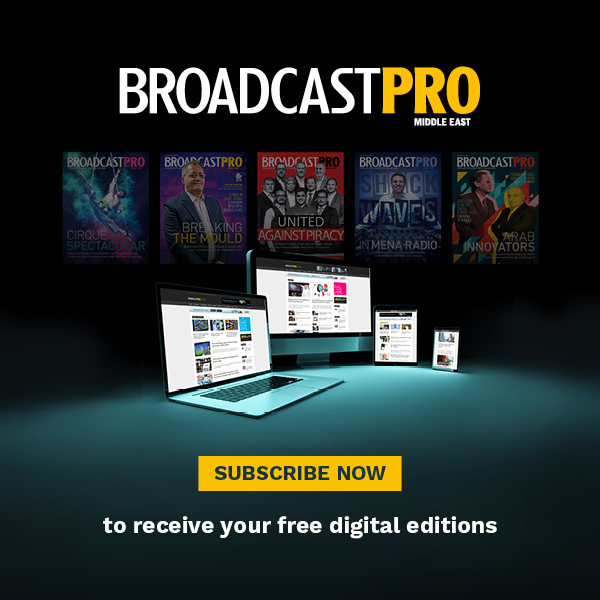 With broadcast, you can decide on which standard you want to adhere to. In a multi-client environment, it is difficult to enforce it. With IP on the table, the issue of security is never too far away. Here, one of the questions posed by the organisers of the roundtable regarding managed versus unmanaged IP networks, found resonance. 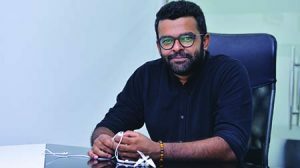 Offering an interesting innovation from the satellite industry, Bilal Saab, Broadcast Manager of Yahlive believes satellite operators can offer services to OTT players in areas that are not served by fibre connectivity or at times when data demand is high. 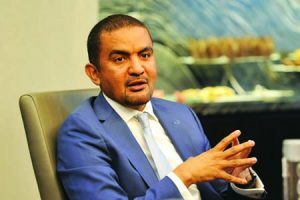 The OTT issue evoked some contention from Mokhtar of MBC who stated that the primary distribution for OTT will always be over the internet just as the primary distribution for broadcast has been satellite thus far. The latter half of the roundtable focused on issues of IP over unmanaged networks and the critical need for collaboration among broadcasters as well as telcos and satellite operators. 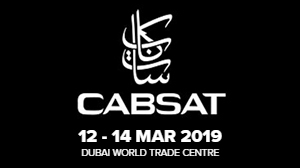 While Van Dam spoke of the important role regional advertising enabled by IP-based workflows play in ensuring revenues to broadcasters, Hassan of Arabsat spoke of the value-added role IP plays for satellite operators in the area of HTS satellites. Van Dam also brought attention to the flexibility offered by IP through the ease of launching pop-up channels that are time-specific. All agreed that IP has taken over with regard to contribution, but satellite will stay on the distribution side of the workflow. The role of IP within broadcast will become increasingly important with time, but how fast the transition to IP takes place will depend significantly on ease of use, the flexibility of integrating technologies and the cost of installation. 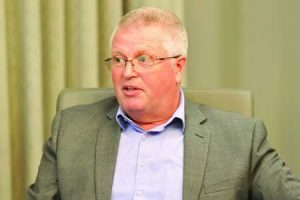 Broadcasters around the table agreed that they would prefer to have a one-stop shop for all their distribution and contribution needs rather than moving between satellite operators, ISP providers and telcos. They called for greater integration between the three players so as to provide a more efficient and streamlined service to customers. It was also agreed that for IP to be successful in the region, the quality of its delivery must be on par with what satellite provides now. 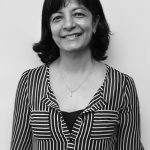 A veteran of many such discussions, Muhaideb of du, recognises that 10 decades of traditional telecom will not give way easily to five decades of information technology though the path towards an all-IP telco is now not that improbable. 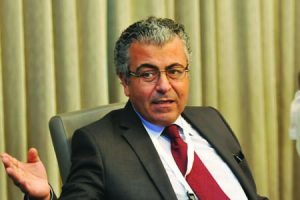 Underlining the fact that IP is a solution for increased efficiency, Sleiman of Tek Signals said. : “As a transmission engineer, I believe IP will prevail. It is a form and means of digitisation. Without the digitisation, we cannot maintain the three pillars of capacity, penetration and cost. 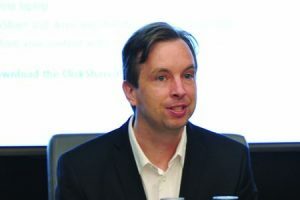 In response to a query by the moderator about whether 100% of customers can be reached even on the edges of the network via public internet or even competitors’ lines, Aldwaik of Intigral observed: “This is not early days for IP delivery. The delivery has been there for a while and standards have evolved allowing for a higher quality of delivery. “Eventually, you have to go to the customers wherever they are. Here in Dubai, with my headend in datamena, we use du’s network and offer guarantees. Once you step outside the UAE, the quality of service cannot be guaranteed unless you have multiple routes towards your customer. The last mile is the last mile. If the customer’s bandwidth is bad, his experience will be bad. But you can do your best to deliver the content in the highest quality possible until the last mile. 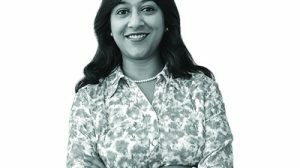 “Telcos play a big role and different ISPs can always peer with each other. Peering is another solution, allowing the exchange of data between two networks that is basically free of charge. It is early days for peering in this region.